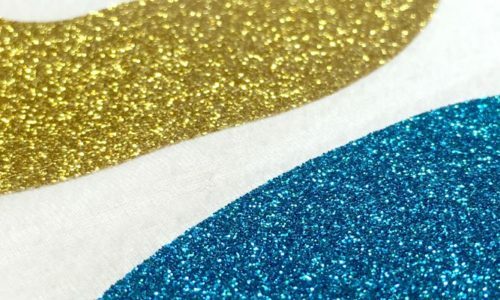 Vinyl printing using glitter or glitter vinyl is an excellent way of creating clothing and accessories which stand out from the rest. 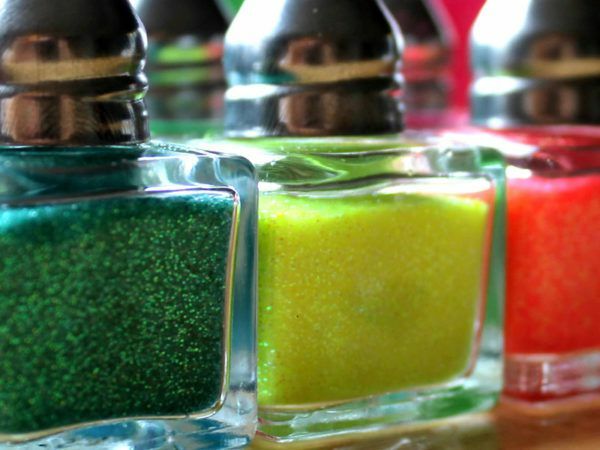 Whether you want dazzling T-Shirts for a stag or hen do, T-Shirts for promotional wear or tote bags with your company logo printed on them which shimmer and sparkle, this printing technique is definitely for you. Ideal for a range of order sizes, vinyl printing is highly versatile and has no set up cost so is great for smaller runs and where items may differ in print such as names and numbers. Although best suited to simpler designs with a small amount of colours, films such as flock, foil and glow in the dark can be combined with screen printing or direct to garment print for a special finish. Printed garments are more sensitive and need extra attention when it comes to washing. To preserve the print and the garment, it is recommended that you wash it inside out on a cold wash. Do not use a tumble-dryer and do not iron over the print. Please refer to our Wash & Care Guide here.